Dedicated sales manager with 33 years of experience combining management and customer service at the highest levels. Offering superb customer satisfaction proficiency and passion for exceeding sales goals. 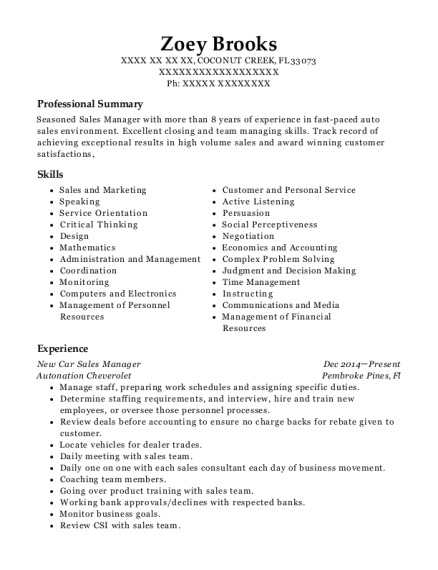 Results-oriented professional specializing in sales and leasing with a unique ability to relate to diverse clients and maintain profitability. Control the sales process from the meet and greet to the close, insuring customers expectations are met or exceeded. Maintain and monitor lease portfolio to ensure that customers return. 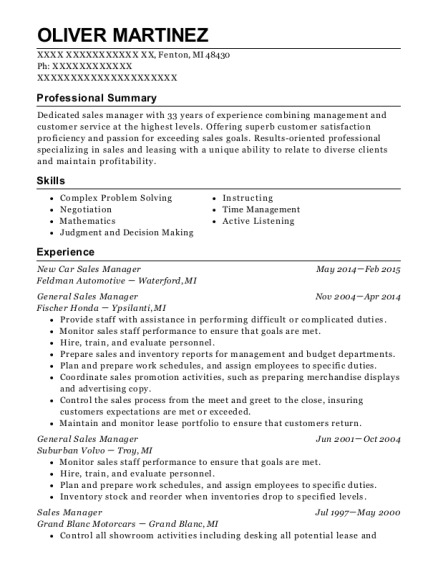 This is a resume for a New Car Sales Manager in Fenton, Michigan with experience working for such companies as Feldman Automotive and Fischer Honda. 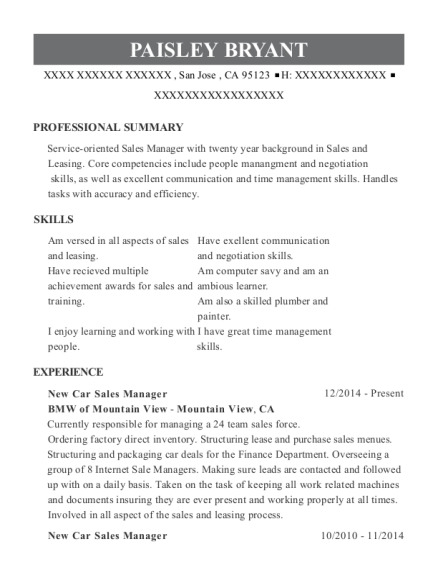 The grade for this resume is 0 and is one of hundreds of New Car Sales Manager resumes available on our site for free. 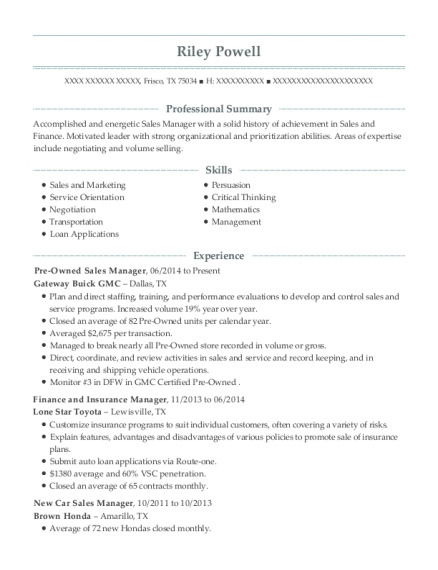 Use these resumes as templates to get help creating the best New Car Sales Manager resume.